Fast production Tick Standout design Tick Strong material Tick . 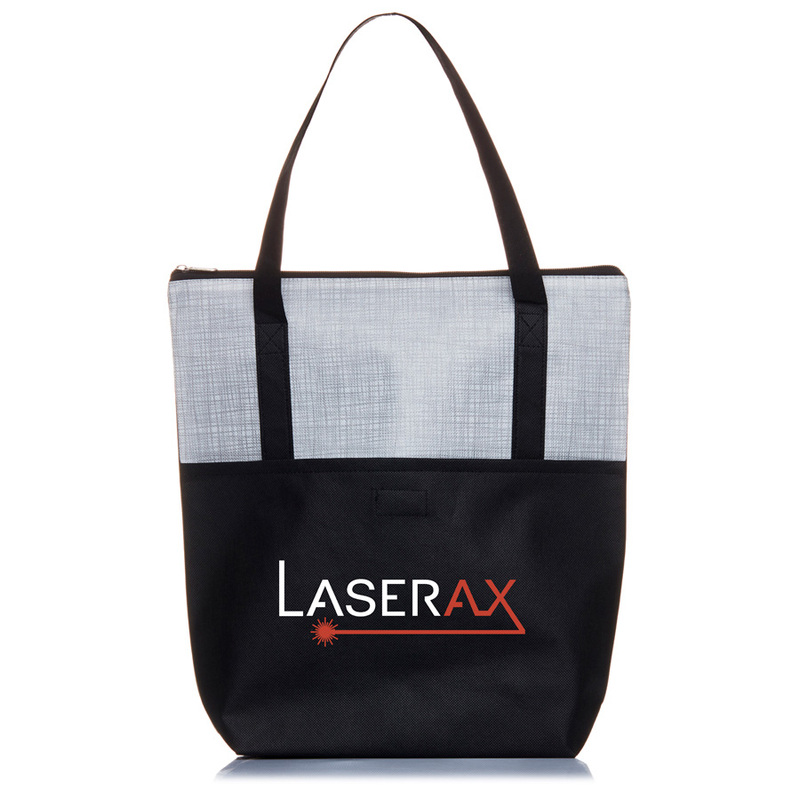 All that's left to add is your logo. Give your customers something exciting, something they will want to take home. 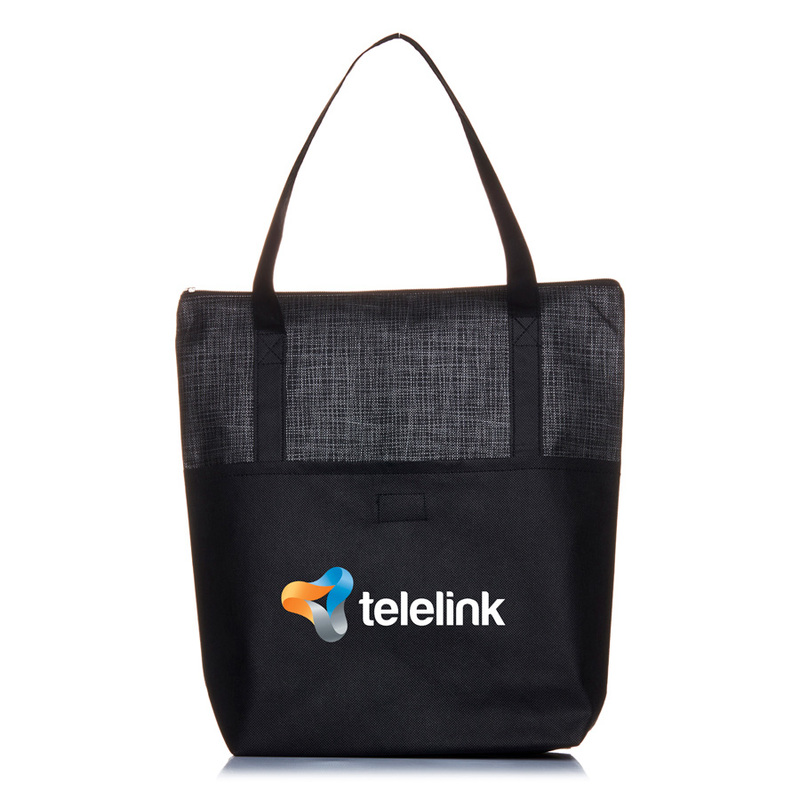 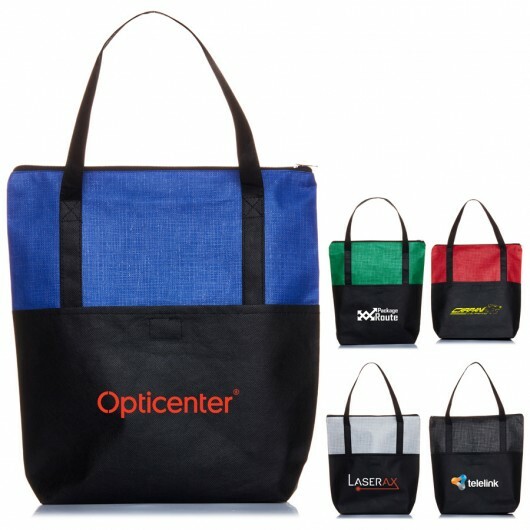 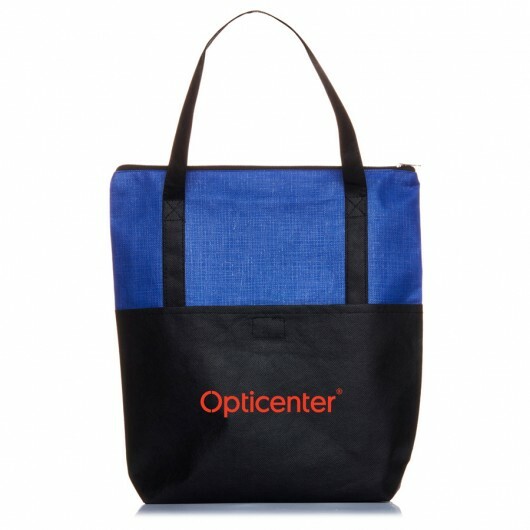 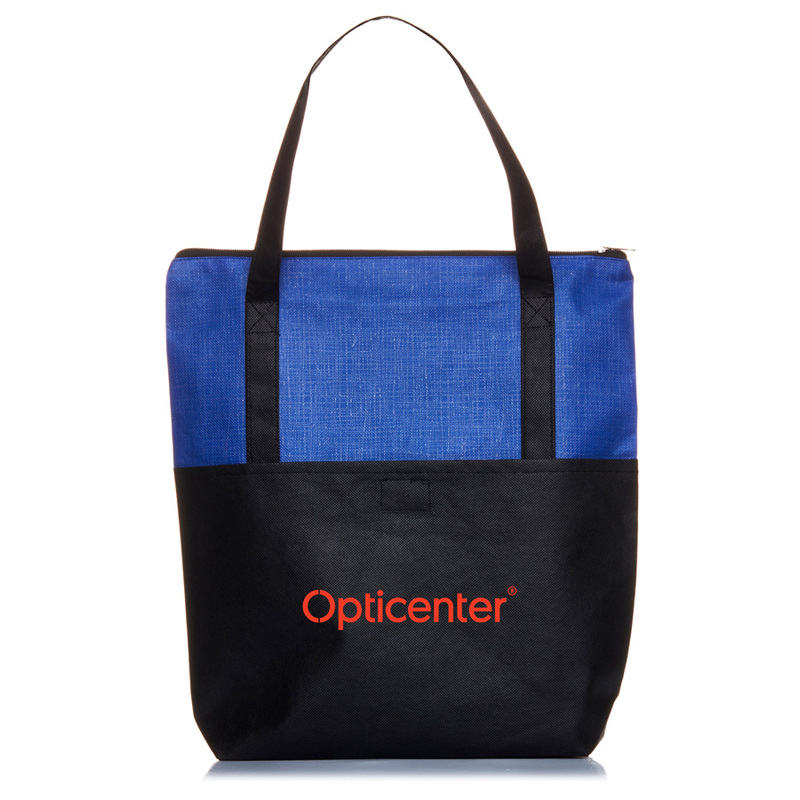 Why settle for a standard boring tote when you have options like this available? 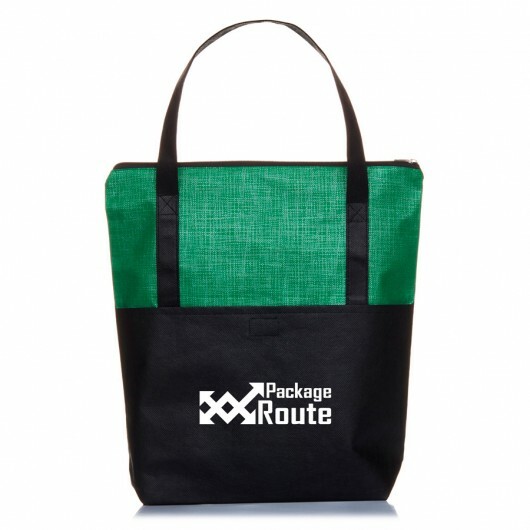 The bags are made from 90 GSM non-woven material with a retail inspired fashionable design. 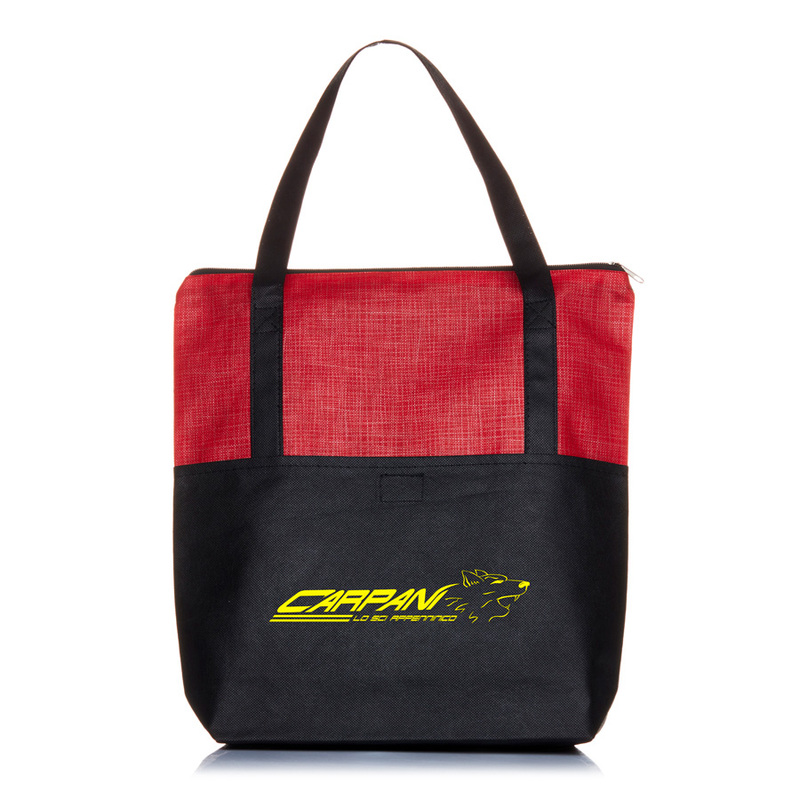 Other features include: a zippered main compartment, front pocket, Velcro closure, reinforced X stitching straps.